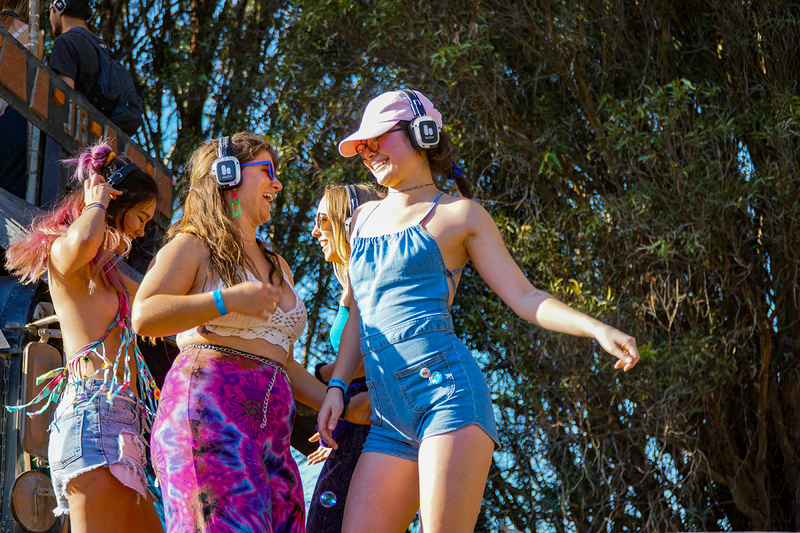 SubSessions will hold its first official silent disco, Silent Sessions, on Saturday, Feb. 23. The 18+ event, sponsored by event production company HUSHconcerts, will take place from 9 p.m. to 1 a.m. at the San Luis Obispo Guild Hall. The event will feature eight DJs in total, but two will play at a time on each channel, battling one another for listeners. One channel will have house, disco and techno music, while the other will have bass, hip-hop and experimental music. The lineup will primarily include SubSessions members and local artists, such as those of KCPR’s Club 91, but not all artists have been announced yet. Berger said visual artists will show live projections, and hangout areas will be dispersed throughout the venue. Berger said SubSessions hopes Silent Sessions will create momentum for its Stoke the World festival in the summer, which will be their biggest event yet. Silent Session tickets can be purchased online for $15.